The coming year could be fun. There are several items on the horizon that have the potential to make 2018 a year to remember. The best part? None have to do with politics. 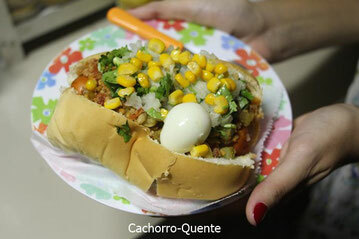 High on the list has to be the possibility that the “cachorro-quente” (or Brazilian hot dog) will come to Cadillac. This is very popular in its native country and it sounds like something that could be a winner (or curiosity) for a local establishment. Too many cachorro-quente binges may spur you to do a bit more exercise to burn off excess calories. Many of us use fitness trackers (like FitBit) to guague our progress. Very soon, these devices may be tattoos. “Say goodbye to those thin black bands—the next generation of fitness trackers will be barely noticeable and the most accurate they've ever been. One of the most promising fitness trackers is a temporary skin tattoo embedded with tracking technology that is being tested by scientists. A tattoo solves the cumbersome, uncomfortable issues of having a device on you at all times.” The only thing you will have to decide is on which body part do you want your fitness tracker tattoo installed. Could make the tracking interesting, eh? This sounds good, but I know how I look first thing in the morning. I may have to wait for the mirror to stop laughing before I can utilize its other functions.